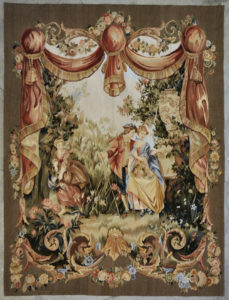 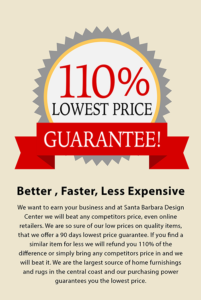 Antique Aubusson tapestry is made in tapestry technique are among the most elegant and luxurious antique floor coverings. 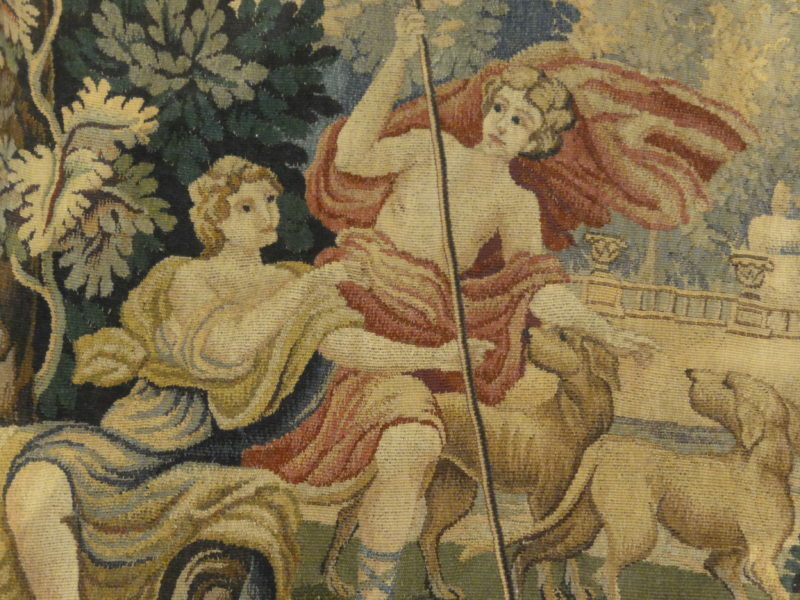 The true date when the production of flat woven tapestry Aubusson carpets in France began is not known. 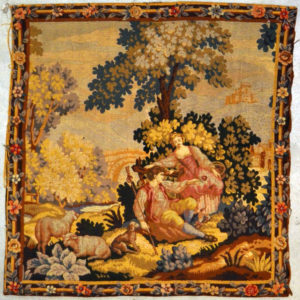 This beautiful medieval tapestry features lovers in the garden. 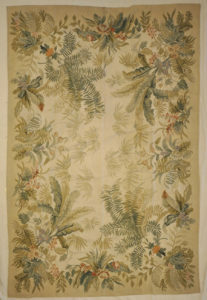 This wall hanging is unique as it invites the viewer into the garden through a terrace. 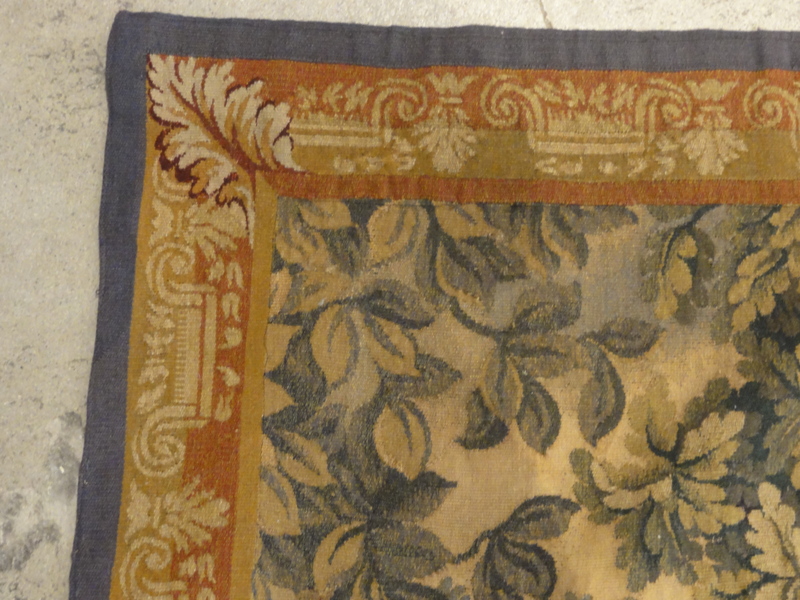 The beholder might feel as if they are inside this work of art. 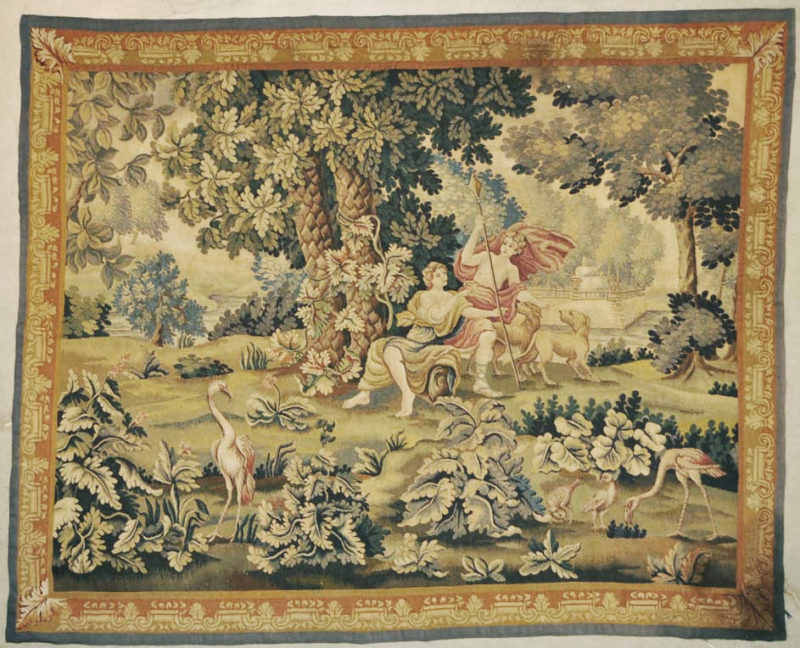 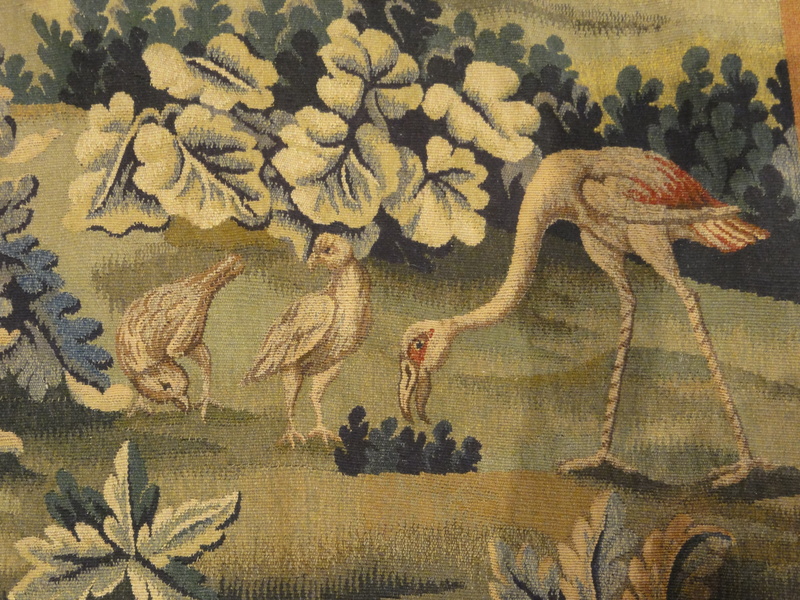 This Needlepoint Tapestry hanging antique is rich in detail and colors with it’s natural dyes and handspan wool.